Happy October! Fall is officially here and I'm ready for another busy month! 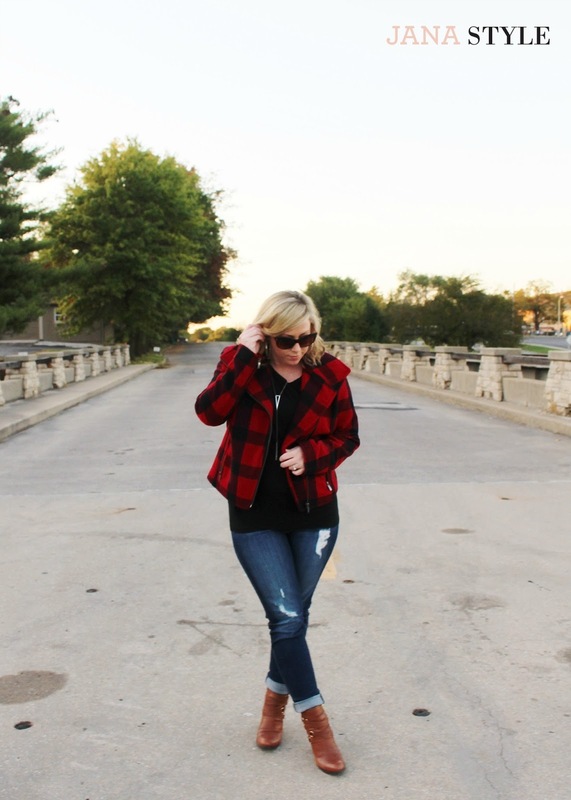 I spotted this buffalo check moto jacket while I was out and about at Summit Fair and I had to have it! 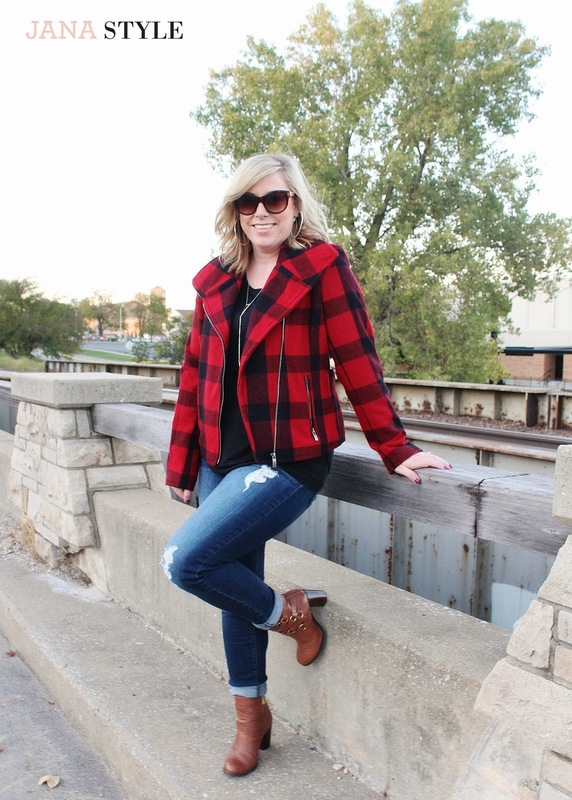 Nothing says fall like this print and style! Luckily the weather turned a little cooler over the last couple of days so I've been able to style it and wear it out in the evenings. This has been the perfect weather for a little bit of layer but still nice enough to be outside. 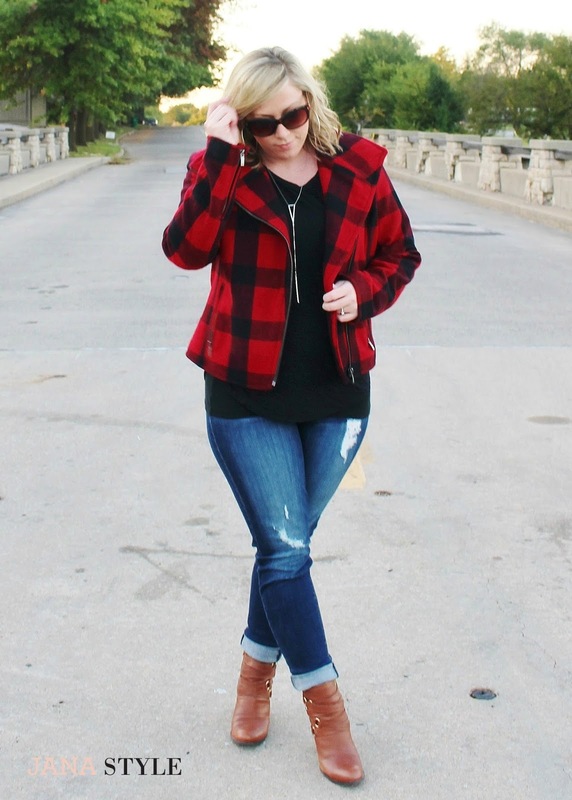 I love fashion this time of year because I love the way an outfit looks with a couple layers and fall prints. 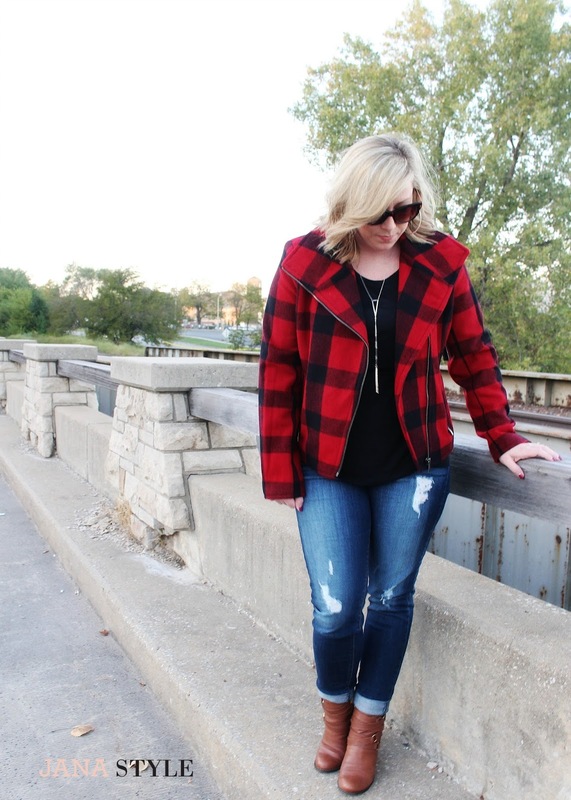 What pieces in your wardrobe are you most excited about styling now that the weather is beginning to change? 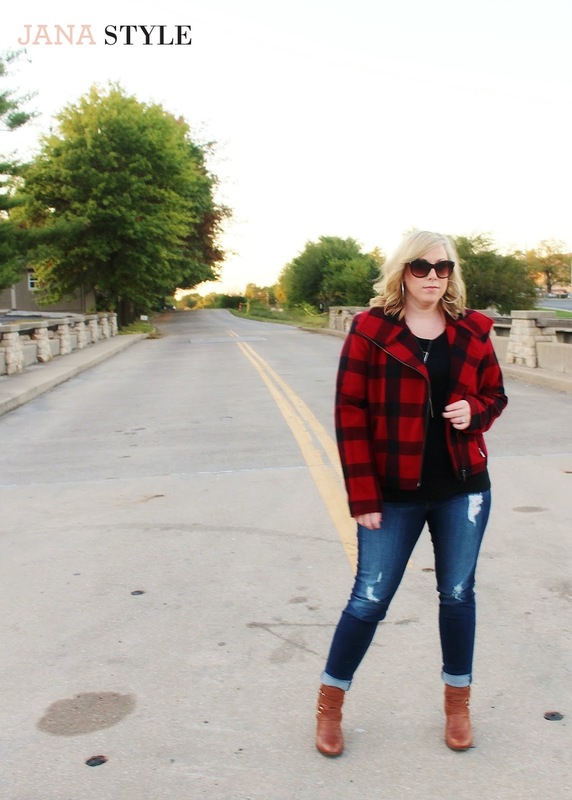 You can find all the pieces from this look by shopping the stores at Summit Fair! 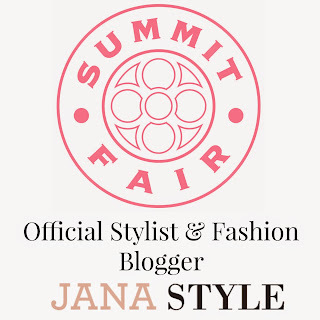 This post is in partnership with Summit Fair Shopping Center and JANA STYLE all opinions are my own. 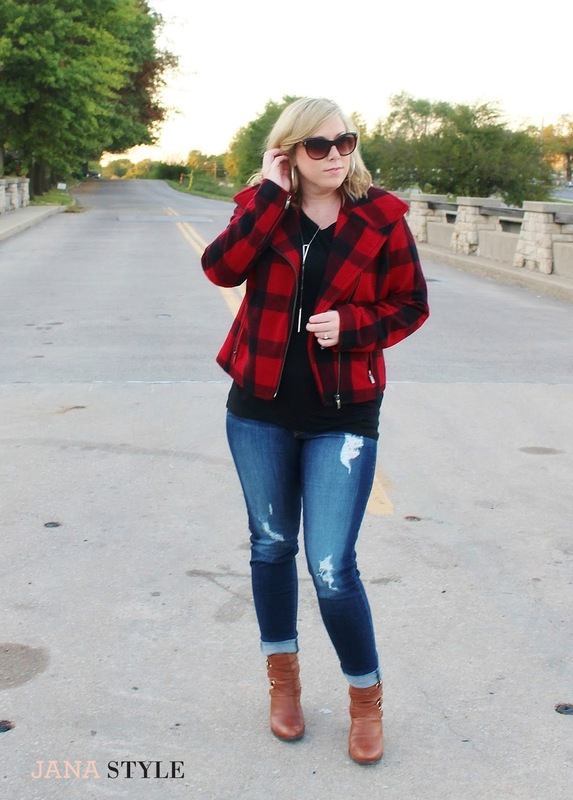 This is the perfect fall look! I'm loving that jacket! Coffee + Friends + Fashion Meetup!